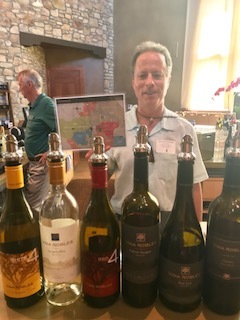 During my fast and furious introduction to Paso Robles and their new sub AVAs, I became acquainted with many great producers in the area while tasting my way through many fantastic wines. At several of our stops, we were joined by some of the neighbors who brought some of their wares and contributed an even broader taste of the area. During these events, it was fun to sit back and listen to the locals talk amongst themselves a bit. 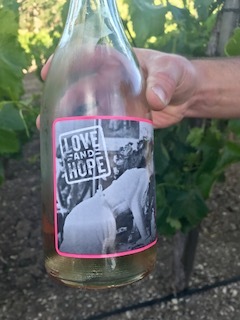 In addition to discussing how things are currently going out in their vineyards, they asked about each other's spouses and children who they mostly knew by name, they talked about various upcoming and past community events, they offered to help each other with specific projects and a few even organized a fishing trip for their soon to be day off. 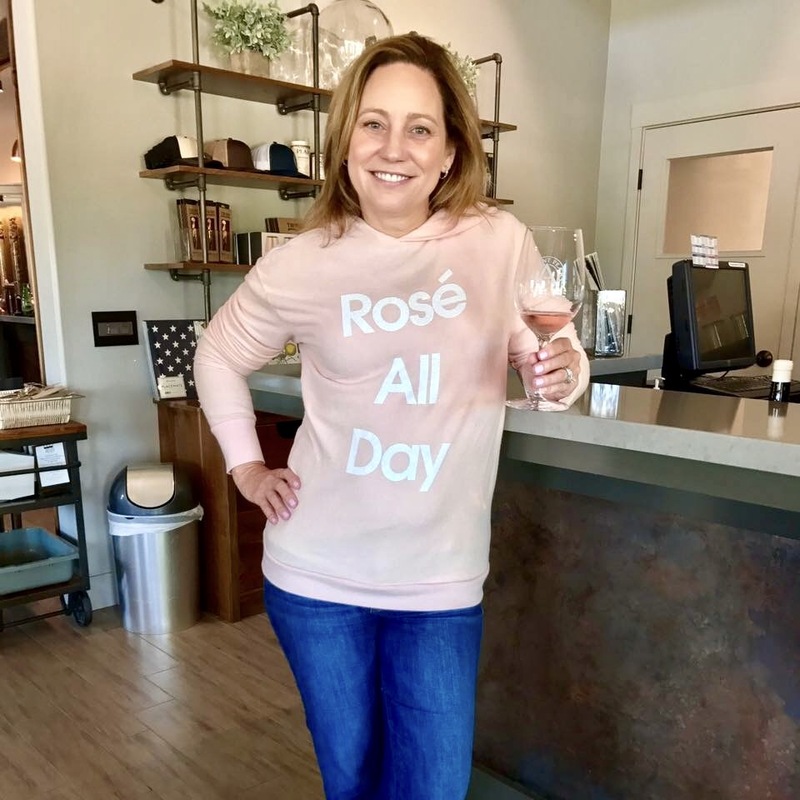 It was an endearing peak at life in Paso Robles, a tight knit community of neighbors seeking not only to put their best in every bottle but in their everyday existence as well. Here are just a few of the many friendly people I met during my time on the Paso Robles wine trail. 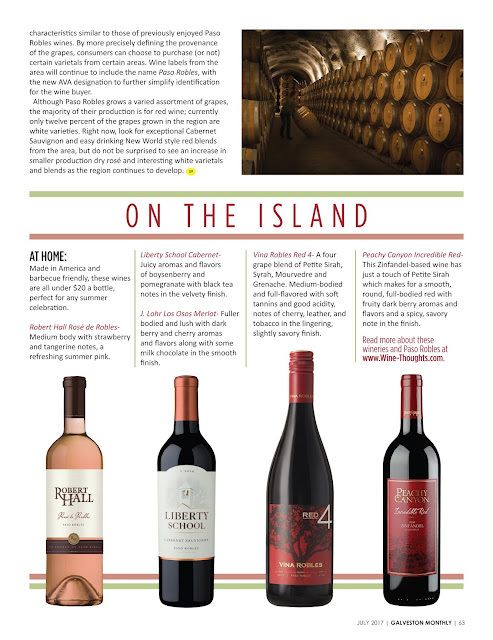 All of the wineries mentioned below have recommended wines that are worth seeking. I plan on visiting the ones that I missed on my next trip. Chef Jeffry, pictured below, is a winemaker favorite and can be hired for any of your private catering needs when in the area, too. Kevin Willenborg, winemaker at Vina Robles, Matt Merrill of Pomar Junction and Geoff Barr of Barr Estate Winery. 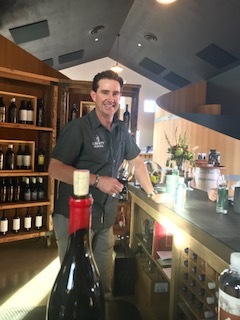 Our final vineyard stop was at Treana to hear owner and winemaker, Austin Hope, talk about another Paso Robles AVA and learn about the Hope Family Wines. The Treana Tasting Cellar is located on the Hope Family's Estate Vineyard in the Templeton Gap District. We arrived in the early evening for our tour and tasting. 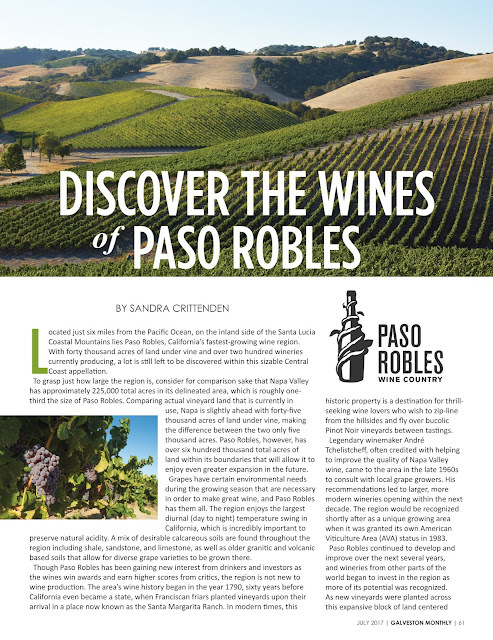 The Templeton Gap District has more maritime influences than any other part of Paso Robles. It sits below openings in the Santa Lucia range. Elevations extend from 700-1,800 feet. 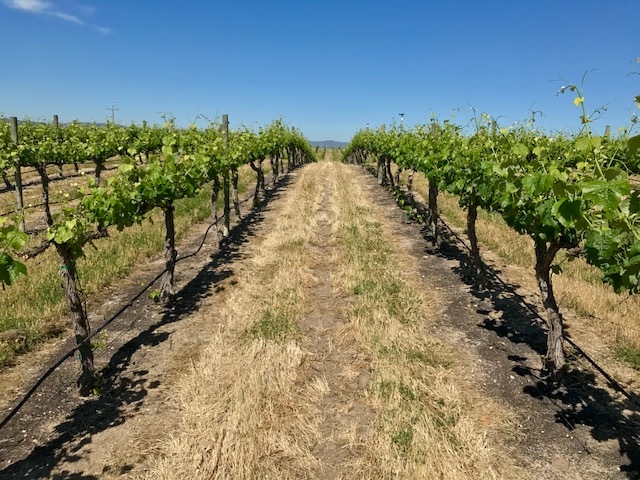 Higher elevations in the west create a path for ocean breezes and fog to come through creating a cooler, damper climate which leads to slower ripening times and a later harvests. 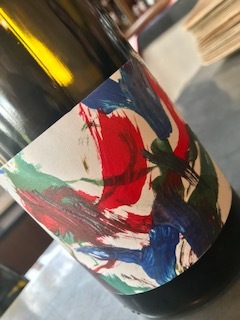 Treana Blanc 2014 - This wine is a blend of 45% Viognier, 45% Marsanne and 10% Rousanne, it is fresh and lively with tropical aromas and flavors and a light honeysuckle note, SRP $30. bold and expressive, he hopes to showcase the best that the estate vineyards can do. 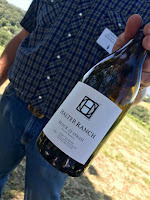 He has high density plantings of Rhône varieties in one of the coldest parts of Paso Robles. 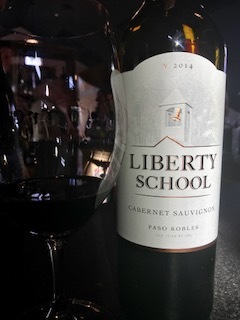 This wine has intense aromas of ripe raspberry and blackberry with a full body, similar flavors and a slight savoriness in the smooth lingering mineral laced finish. SRP $55. Justin Vineyards and Winery was our next stop for lunch and a tasting. The winery sits below rolling vineyards providing picturesque views all around. 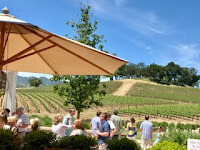 The beautiful landscaping and gardens ensure that the patio seats are highly prized for tastings. suggested wine pairing so you can create your own special meal. 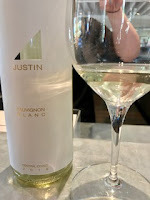 We started with a taste of the Justin Central Coast Sauvignon Blanc 2016 which was fresh, crisp and tropical. 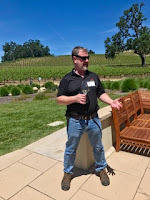 Winemaker, Scott Shirley greeted us and took us on a mini-tour of the grounds. Shirley has an impressive background. 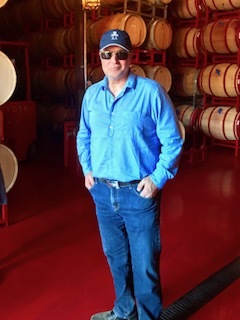 He is a UC Davis graduate with a degree in biochemistry who honed his winemaking skills at some iconic Napa Valley wineries including Opus One. He doesn't rely only on his science background, he considers winemaking to be a bit of an art as well. He pointed out that his job is always easier because he starts with high quality fruit. 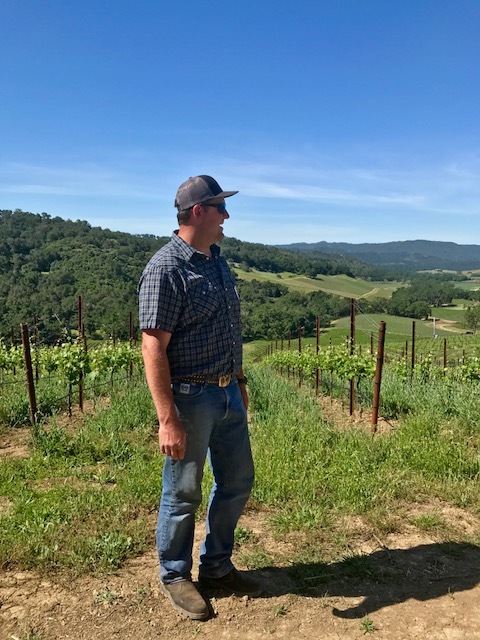 He shared the story of owner and company namesake, Justin Baldwin, who was drawn to Paso Robles in 1981. 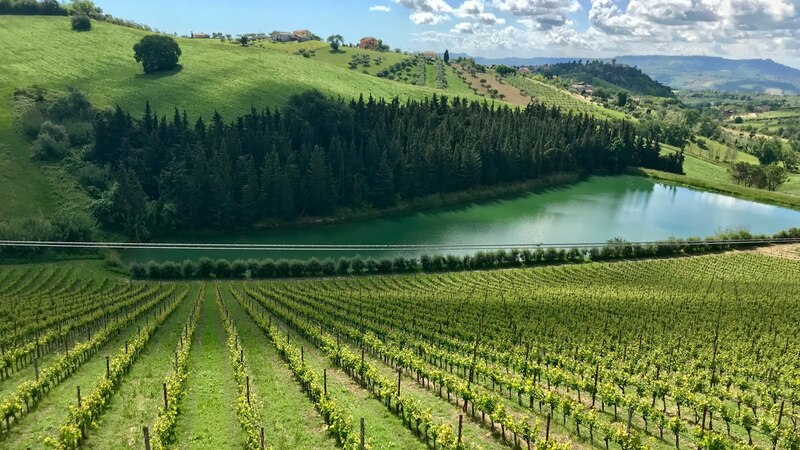 The rich limestone soils, steep hillsides and the wide diurnal swings seemed the perfect place to plant Bordeaux varieties. 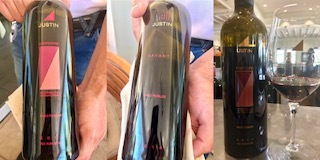 Thirty-six years later, Justin Vineyards and Winery now produces some of the most iconic wines from the Central Coast. 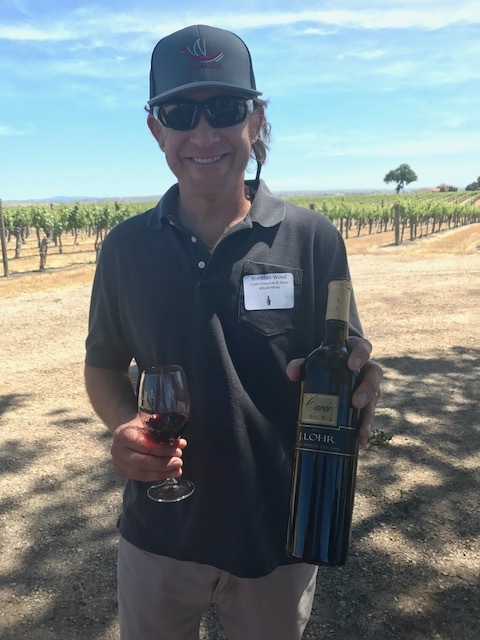 Shirley joined the team in 2012 and says he has really enjoyed his time in Paso Robles and is proud of the wines they are making. walnuts, pomegranate, and apple cider gastrique. He assured us that was the extent of his food knowledge, he was there to talk wine. 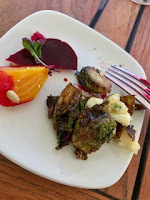 He poured the Justin Paso Robles Rosé 2016 to go with these vegetable laden starters. 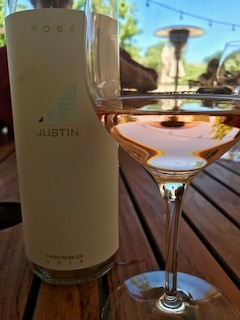 This refreshing Rosé is made in the Provencal style but is made from Cabernet Sauvignon, Justin's flagship grape. It had cherry/berry aromas and flavors with a light herbal note in the fresh finish, it was perfect with the appetizers. pairing for their famed Isosceles wine. All of the wines at Justin are recommended, as is a visit to the winery should you be visiting Paso Robles. 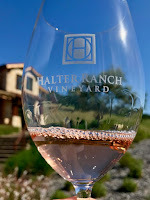 Halter Ranch Vineyard is located in a valley in the Adelaida District's western hills. Vineyard manager, Lucas Pope, met us outside near the tasting room with a chilled bottle of the 2016 Rosé to get our group refreshed and ready to see exactly from where those grapes that made up the wine in our glass came. 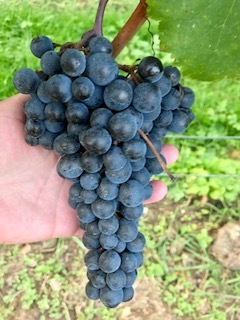 primarily Bordeaux and Rhône varieties. 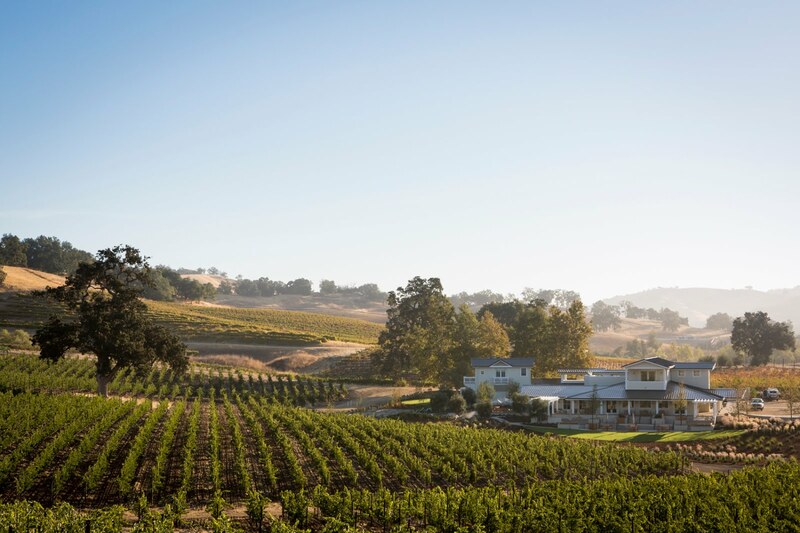 Currently, 281 acres are under vine at the expansive 2000 acre ranch property. Much of the land has been designated as an environmental preserve by the current owner, Pope revealed. He ensured that there were wildlife corridors for the deer and other animals to access the water that they had always enjoyed when the vineyard was under construction. He is interested in protecting the land for the continued use of future generations. Pope said they are certified sustainable and try to be as organic as possible. After a walking tour to check out the terroir, we stopped for a vineyard tasting of a few of the current releases. All of the following wines along with the Rosé are recommended. 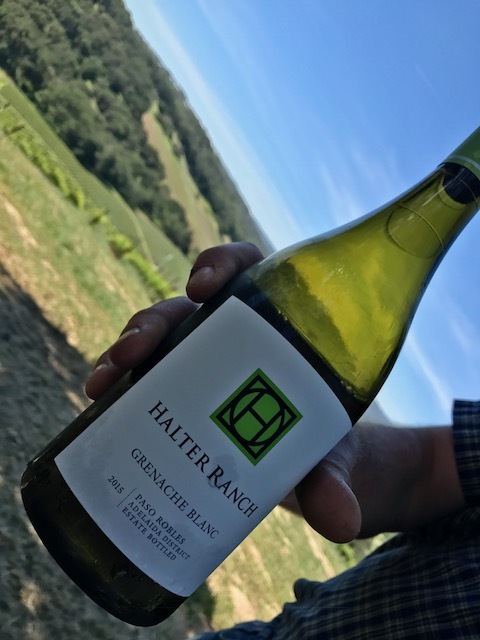 If you are planning on being in Paso Robles, go online and check out the many tasting and touring opportunities offered at Halter Ranch. Halter Ranch Cabernet Sauvignon 2014 - Primarily Cabernet Sauvignon with 10% Malbec and 7% Petit Verdot, this classic Bordeaux-styled red has bright aromas and flavors of pomegranate and cherry with a light earthy minerality; full-bodied, approachable and easy to enjoy now. 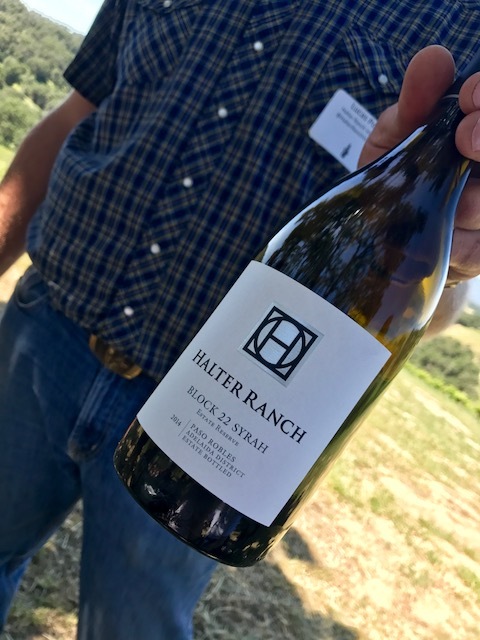 Halter Ranch Block 22 Syrah 2014 - This rich full-bodied red has intense fruity aromas and mouth-filling flavors of ripe mixed berries with a hint of smoke and cocoa in the long finish, SRP $55. 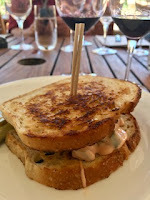 I had been in Paso Robles for about 24 hours as we drove to Daou Vineyards and Winery. 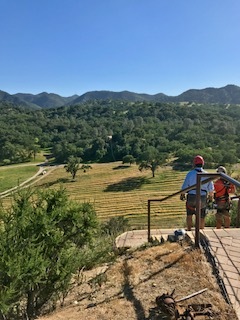 I had admired the rugged natural beauty of the Santa Margarita Ranch AVA and the civilized ease of touring the more centrally located Vina Robles. As we approached Daou Mountain in the Adelaida District, I could see we had entered new territory again. 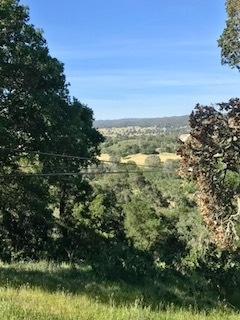 The mountain stands at an elevation of 2,200 feet in the coastal range west of the town of Paso Robles. 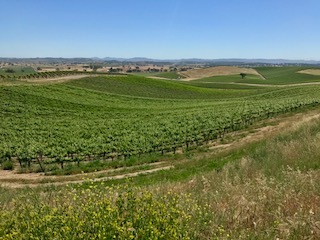 The western hillside vineyard faces the Templeton Gap, an opening in the range that allows Pacific winds through which cool down the grapes. This leads to thicker skins giving structure and flavor all while maintaining natural acidity. 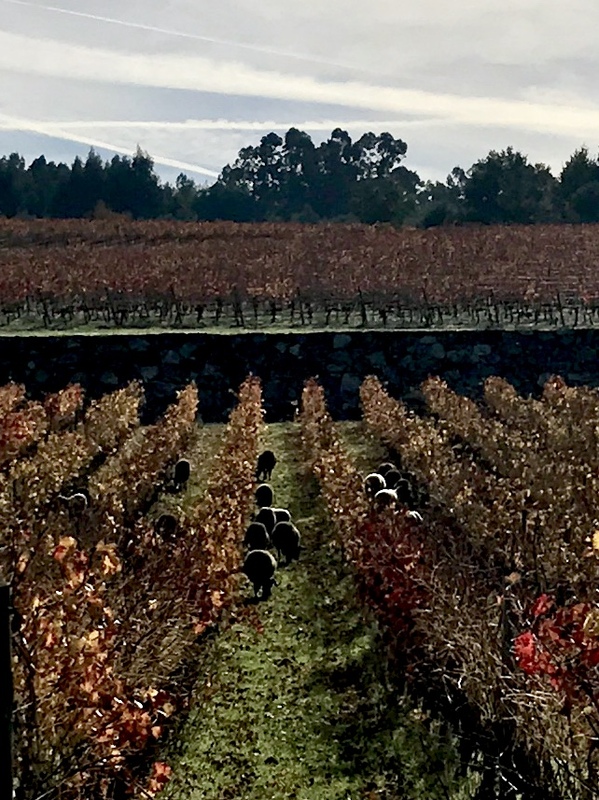 The rows of vines are grown atop the coveted calcareous clay soils for which the area is famous. a place where the sunlight seemed to dance around the vines. Alive with color from the mounds of lavender and the many rose bushes, the 212 acre property was a hidden vineyard garden oasis. 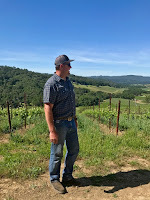 The soil is known to promote healthy vines, Daniel Daou and his brother purchased the land a decade ago after searching for the right California location to grow and create world class Bordeaux-style wines. The soils of the estate property are very similar to the ones in Saint Émilion. The vineyard had a different appearance than those we had seen thus far in Paso Robles. 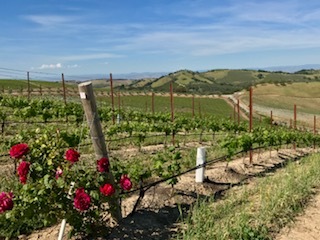 The vines are planted closer together at about 3 feet apart and trained into lower cordons about 18 inches above the ground. 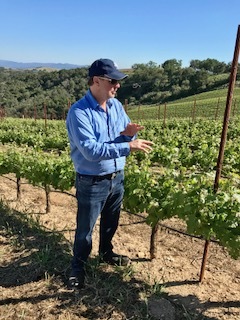 Daou believes this high density vine training technique leads to balanced grapes with more concentrated flavors. 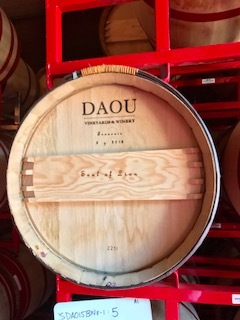 Daou is also a believer in tracking those phenolics in the grapes throughout the growing season and into the winery. 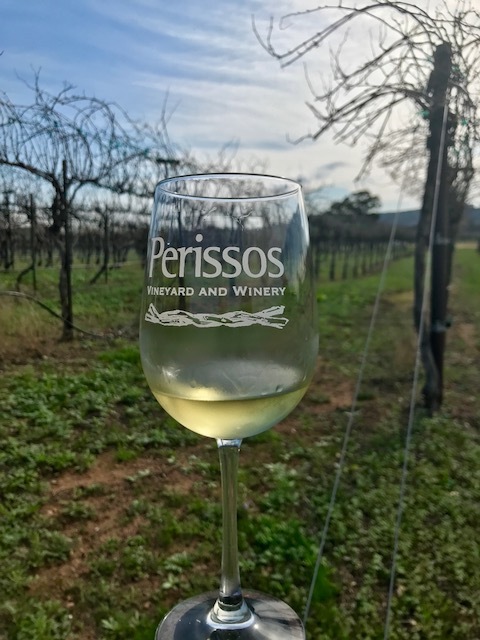 Phenols affect the color, flavor, feel and longevity of a wine. This information helps him decide not only his harvest dates but also shows him differences between blocks within the vineyard. He made the point that he chooses to make multiple tiers of wine so he always has a home for his own grapes and never feels compelled to compromise on quality in his premium wines. The terroir of Daou Mountain encourages the estate grapes to easily ripen through an extended hangtime while maintaining their acidity. This also helps to create naturally high levels of phenolics. Daou harvests slightly past peak at a higher brix which enables more extraction. Protecting the natural color, structure and flavors from the grapes in the winery is made easier with the phenolic tracking as well. The grapes have naturally high levels of tannins so he only uses the free run juice. He wants a wine that is drinkable upon release while maintaining its high structural quality for long age ability. 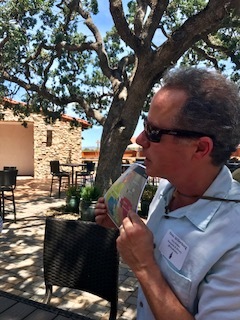 Daniel Daou was entertaining and informative as he enthusiastically toured us around and shared the specialness of Daou Vineyards and Winery. The combination of an ideal growing environment and the highest level of oversight and care are on display. 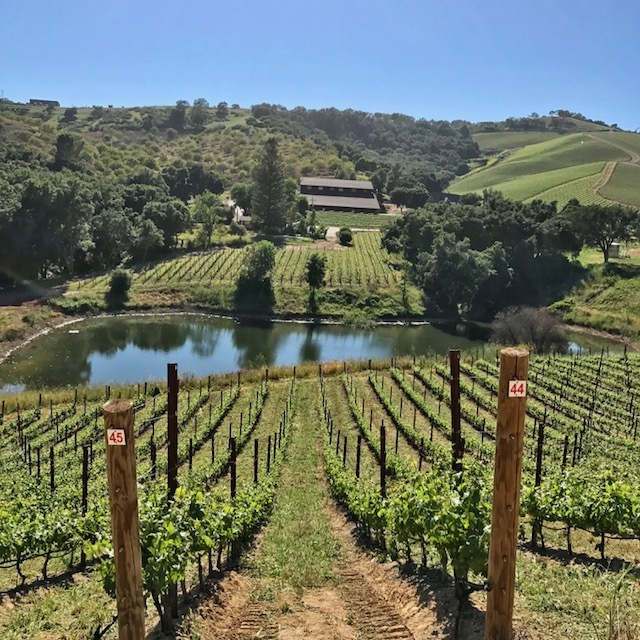 The beautiful location, the charming host and the exceptional wines all united for a very enchanting experience, don't miss it on your next trip to Paso Robles. 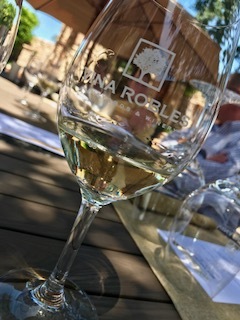 When we arrived to the expansive property, winemaker Kevin Willenborg was there to meet and greet in the tasting room and offer up a welcoming glass of the 2016 Vina Robles White4. This crisp white wine is an unusual blend of Viognier, Vermentino, Verdelho and Sauvignon Blanc. Fresh, crisp and round with fruity aromas of peach, pear and grapefruit, it was the perfect refresher before the tour and it makes a great anytime white with an SRP of $16. 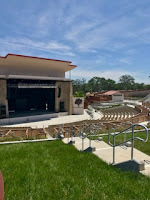 In addition to the vineyards and the winery, Vina Robles also boasts an outdoor concert venue with a full schedule of premium acts like the Doobie Brothers and Chicago throughout the season. 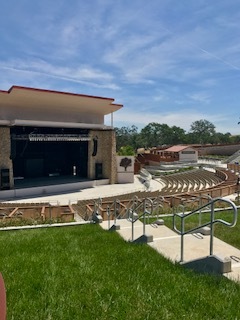 Guests at the amphitheater get to enjoy local wine and beer along with freshly prepared food at the shows. concert schedule prior to your trip. It is easy to make food part of your experience at Vina Robles as they offer a few gourmet pairing options from the savory to the sweet. They also have a full lunch menu offered on Thursday - Sunday or if you just want a snack, they offer a variety of tapas to enjoy with your wine tasting as well. Executive Chef Randy Torres oversees the various menus, reservations are recommended for the wine and food pairing experiences. Hans Nef, the owner, is from Switzerland. He wanted to incorporate his European heritage and the opportunities he has found in California into Vina Robles. You find this on the lunch menu with the Älplermagronen, a mac-n-cheese made with Swiss cheeses and served with local apple sauce. You also find this philosophy in some of the wine blends. The 2016 Vina Robles Red4 is a blend of Syrah, Petite Sirah, Grenache and Mourvedre. Willenborg feels the addition of the Petite Sirah adds more backbone to the easy-drinking Rhône style blend. Medium body, moderate tannins with cherry, leather and a light tobacco note in the smooth finish. 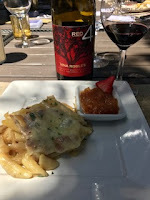 A great anytime red with an SRP of $17 and paired here with the Swiss style mac-n-cheese. 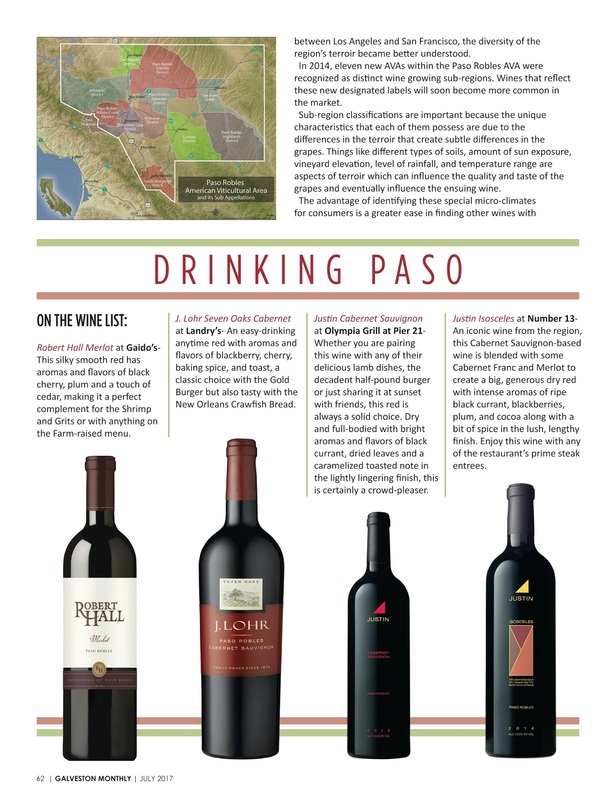 The Visiting Paso Robles series continues, check back here every Monday and Saturday all month long. 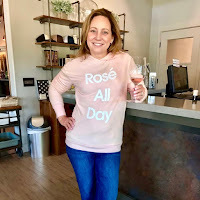 Shake off your traveler's fatigue and start your trip the way that I did with a visit to Ancient Peaks Winery for some refreshing Ancient Peaks Rosé 2016 made from 100% Pinot Noir from the cool estate Margarita Vineyard site in the Santa Margarita Ranch AVA. 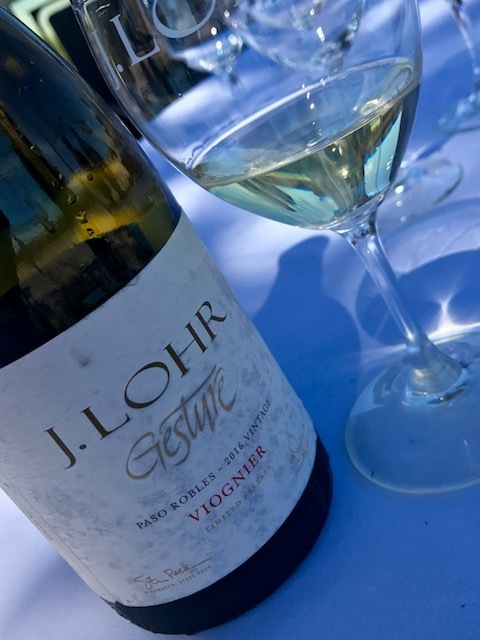 Fresh and crisp with cherry, peach and zippy grapefruit notes, this limited release wine will revive even the most weary of wine lovers and have them ready to explore the terroir from which it came. Go across the street and you will find the Margarita Adventures office for all of your Paso Robles adventuring needs. You can book these experiences on-line in advance of your trip. I recommend the zip-lining jaunt to get your adrenaline pumping while allowing you to see some amazing views while learning the history of the southernmost portion of the Paso Robles area which includes Wild West tales of Frank and Jesse James. 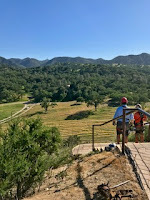 This two and a half hour tour gives the more daring an incredible view of a California landmark, the Santa Margarita Ranch. The area's wine history began in 1790, sixty years before California became a state. 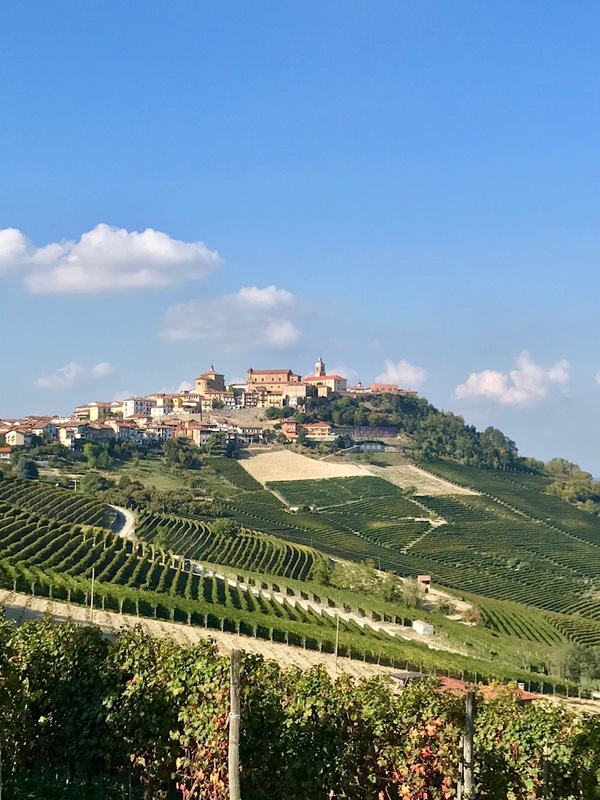 Franciscan friars planted vineyards upon their arrival and others followed. Today, the ranch practices sustainable grape growing and is a part of the historic California Mission Trail. The marine influence from the Pacific Ocean combined with the typical cold spring weather creates a long and late growing season. There are five unique soil types in the area- ancient seabeds, granitic, rocky alluvium, shale and volcanic. There are no other vineyards nearby, the Margarita Vineyard stands alone in the Santa Margarita AVA. 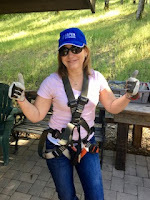 The tour includes six zip-lines which span over 7,800 feet with an amazing 2,800 foot valley crossing over a Pinot Noir vineyard with expansive views. Drink plenty of water prior and during as there is some walking/hiking involved. When the tour is over, head back to the Ancient Peaks Winery tasting room where tour goers receive discounted tasting fees and discounts on wine purchases. Try the super smooth Ancient Peaks Oyster Ridge Red 2013, a juicy yet elegant Cabernet-Sauvgnon based wine to celebrate your successful zip-lining experience. Stay tuned here all month every Monday and Saturday for a summer vacation to Paso Robles.